This collage was created on Decoration Day, 1915. The Breckenridge Bulletin published an article on November 29, 1935 which described it as "a group picture of the Civil War veterans in this section of the country. Today, Mr. (Thomas P.) Weaver is the only member of the group living." Top row: Thomas McPeek, William J. Milby, Jonathan Berkshire, Gideon Hart, Bliss Morse, Levi J. Barnard, _____ Hopkins. Middle row: Thomas P. Weaver, unidentified, _____ Riddell, unidentified, Reese Tunks. 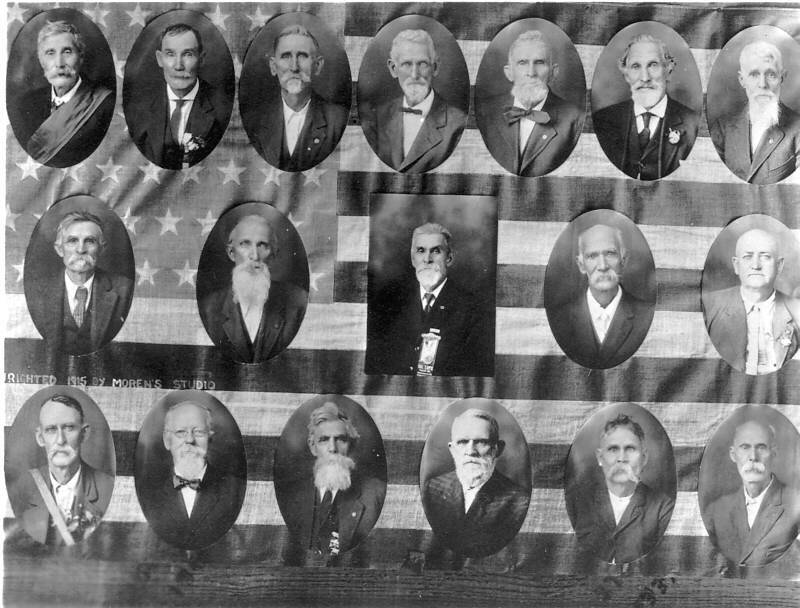 Bottom row: unidentified, Francis Ward, Perry Infield, Joseph Greenwood, Jim Hays, James J. Bench.